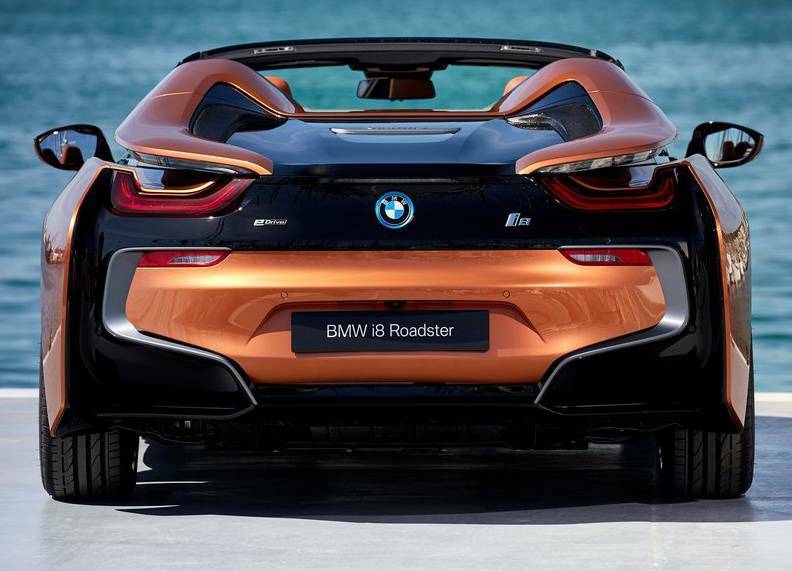 We all knew it would arrive but what we did not anticipate is that BMW would take over three years to follow-up the i8 Coupe with a Roadster version. 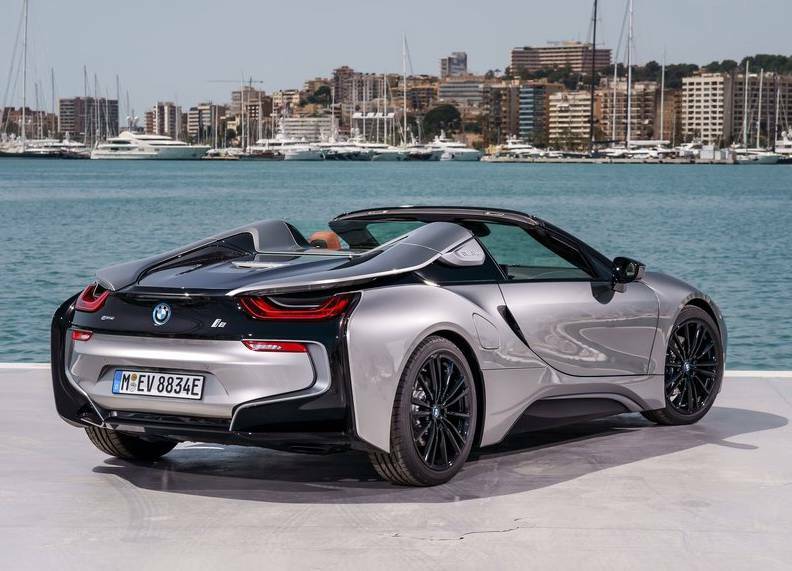 Finally, the i8 with all the headroom in the world is here with us just in time for summer. 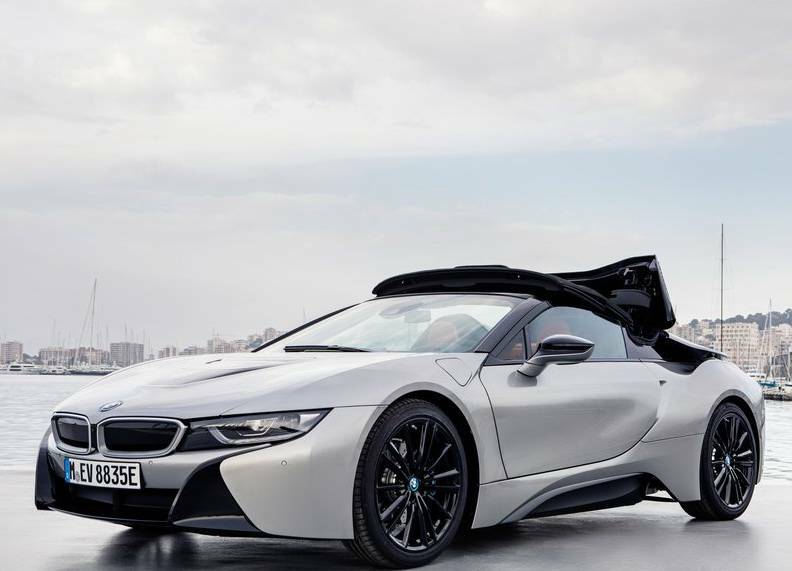 Courtesy of BMW’s master craftsmanship, the 2019 BMW i8 Roadster has not lost the appeal of the Coupe; in fact, I think it looks even more stunning. 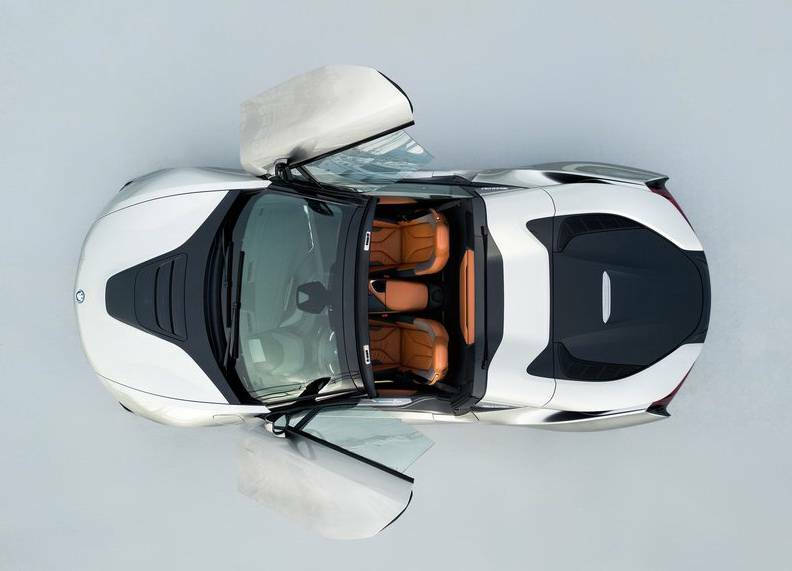 The most significant difference between the Roadster and the coupe is the soft-top roof. The high-grade fabric roof is electrically operated and needs 16 seconds to open or close at speeds not exceeding 31 mph. The rooftop is stored at the rear into a “Z” shape. The folding system was made from aluminum through use of 3D printing technology. 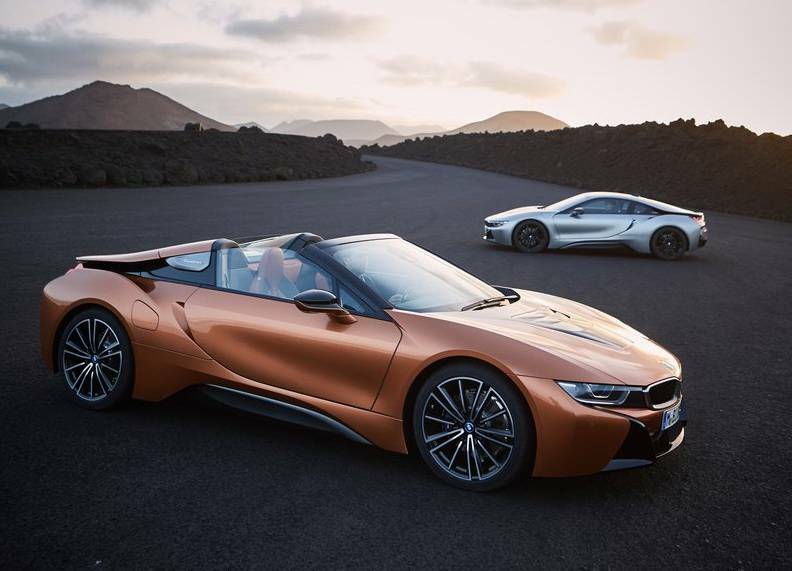 At the front, the coupe and roadster are unique but at the rear the roadster features curvaceous, bulging pillars that form a U-shape behind the headrests. Also, the rear deck looks lower than that of the coupe. The exterior is not only stylish but also functional; it features an aero-optimized layout that is characterized by air curtains placed on the front apron, an air flap control feature, molded side skirts, flat underbody as well as air ducts mounted between the roof frame and taillights. Buyers have an option between new color shades including Donington Grey metallic, and E-Copper metallic. The Roadster also rides on radial-spoke lightweight alloy wheels which have a two-tone finish (Jet Black finish is available). The wheels have a 20-inch diameter. 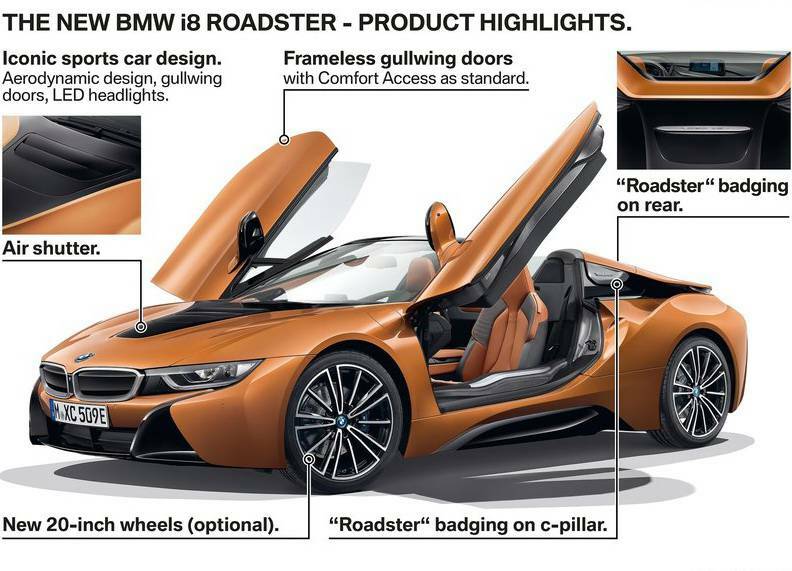 There are 4 more designs for customers who want to customize the Roadster further. Accessing the cabin is made easy thanks to the gullwing doors that open forward rather than outwards. Inside, there is seating for only two passengers rather than the 2+2 setting of the coupe. 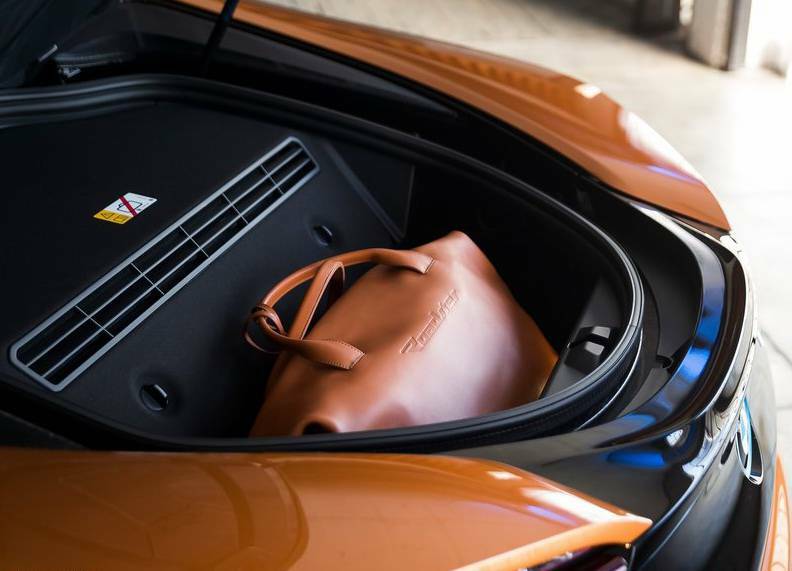 The rear seats were done away with to create space for the rooftop; the small storage space of the coupe is also gone; only a small 3.5 cubic feet of space is left between the seats and the roof box and another space at the rear that adds an extra 4.7 cubic feet of space. When the roof is lowered, the rear window rises by 1.9 inches to reduce air turbulence to ensure the cabin remains comfortable. The height of the window can also be tweaked as per the driver’s desire. 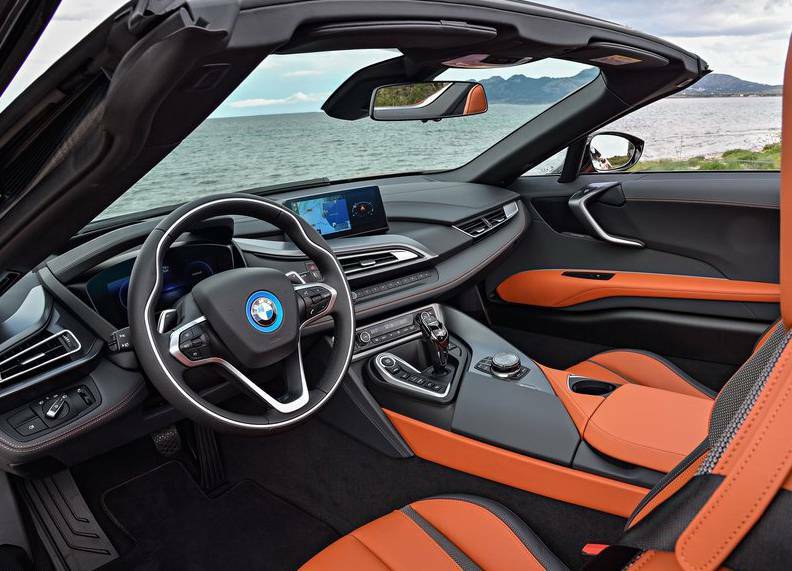 The model has a leather-wrapped sports steering wheel, shift-paddles that provide semi-manual gear changes, and a multi-function instrument cluster display. The dash layout has multiple layers and a wide center tunnel that divides the seating positions. The seats are heated and have electric adjustments. Customers can choose between “Giga”, Halo” and “Tera World Copper” trims. The Giga trim features full-leather upholstery with Black and Ivory White color schemes but can also be had in Dark Amido. The Halo trim features a mix of leather and cloth upholstery in a Dalbergia and Carum color scheme while the Tera World Copper trim features a leather and cloth upholstery in a mix of E-Copper and Amido color combination. 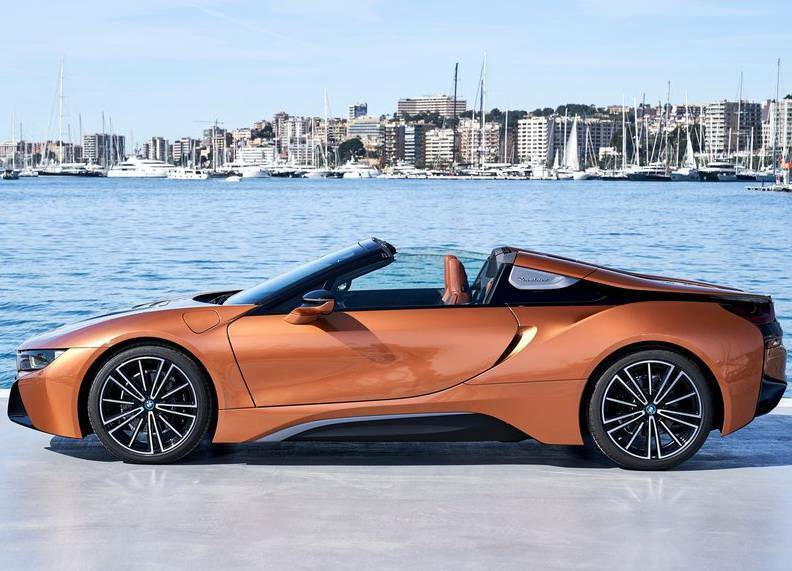 The model also features BMW Connected, 360 Electric and Connected Drive systems which are operated via an 8.8-inch display. 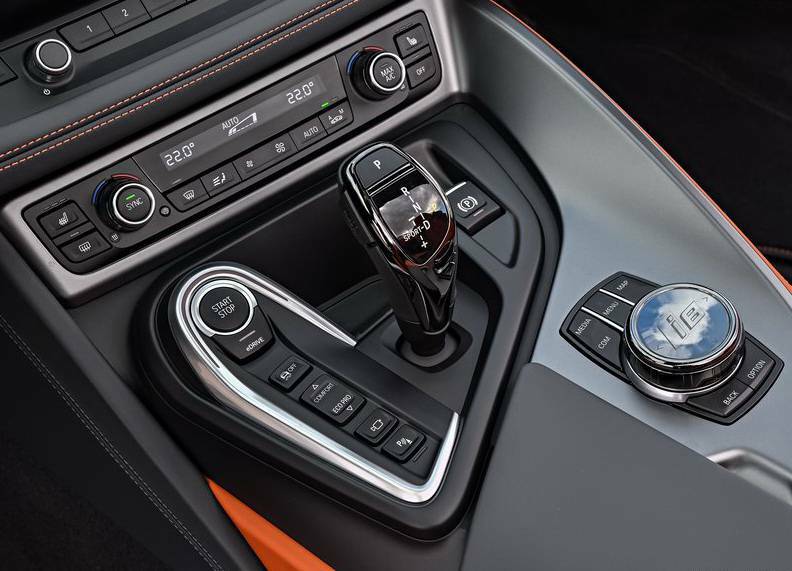 BMW Driving Assistant and Navigation system Professional are standard. All the systems are run through the iDrive 6.0 OS. The instrument panel is all digital with gauges that change color according to the drive mode selected. 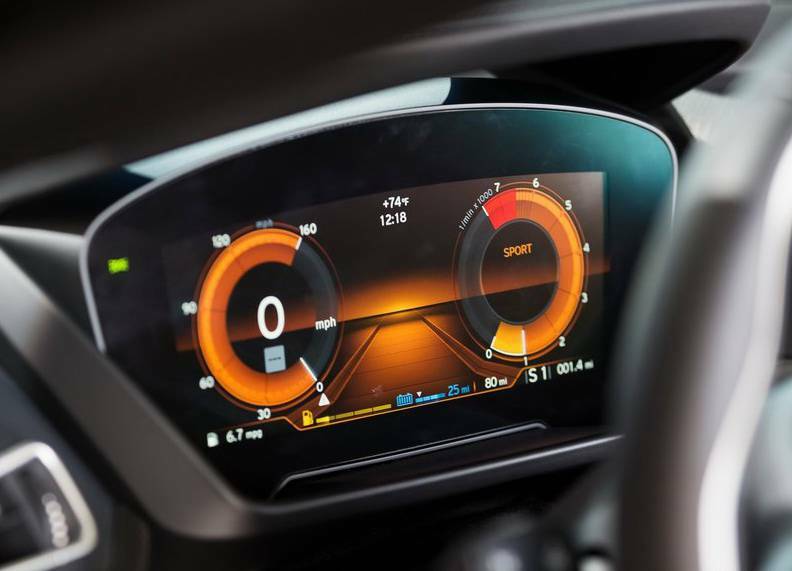 The infotainment system can be integrated with smartphones and smartwatches to provide connected services such as refueling info, trip planning, traffic info, trip status notifications, concierge services and parking info among others. For audiophile, a 12-speaker Harman Kardon sound system is offered as standard; it delivers 360 watts. Automatic braking, cruise control, front collision warning, pedestrian detection, surround view cameras, automatic high beams, park distance control, cross traffic alert and speed limit info are all standard. An Emergency Call feature relays information to one’s rescue services provider in case of a crash. 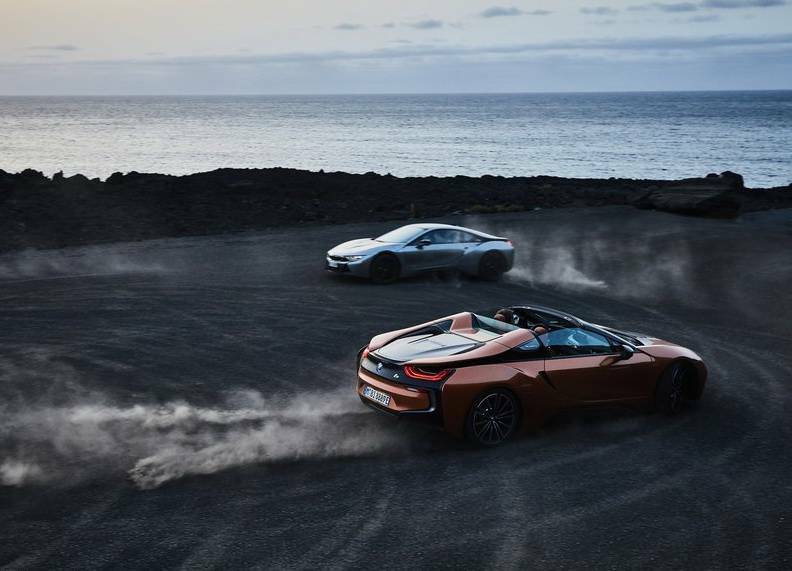 The 2019 BMW i8 Roadster uses the same drive-train as the coupe. 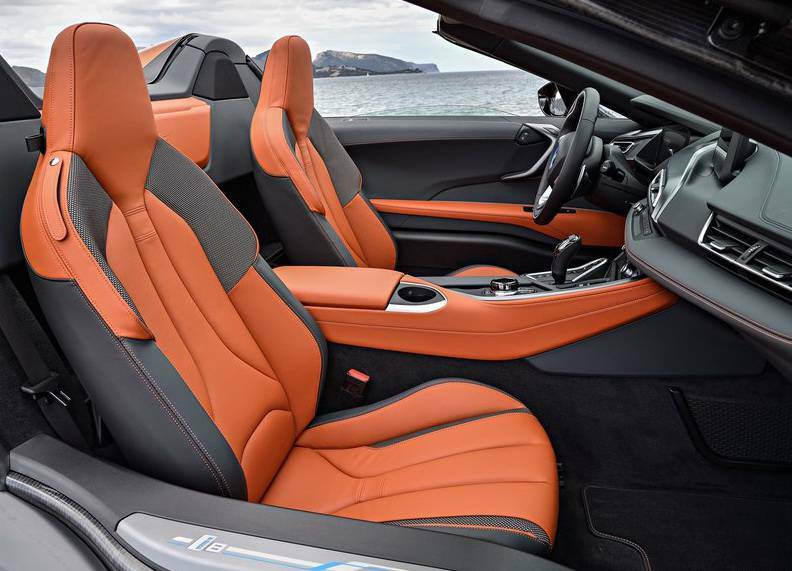 It features a TwinPower Turbocharged 1.5 L, 3-cylinder gasoline engine mounted behind the seats. The engine makes 228 hp and 236 lb-ft of torque all of which is channeled to the rear wheels using a 6-speed Steptronic transmission. The setup also features a single electric motor mounted on the front axle and channels all its power to the front wheels via a 2-speed transmission completing the car’s AWD system. The electric motor is backed by an upgraded lithium-ion battery which has a capacity of 34Ah compared to the outgoing model’s 20 Ah rating. 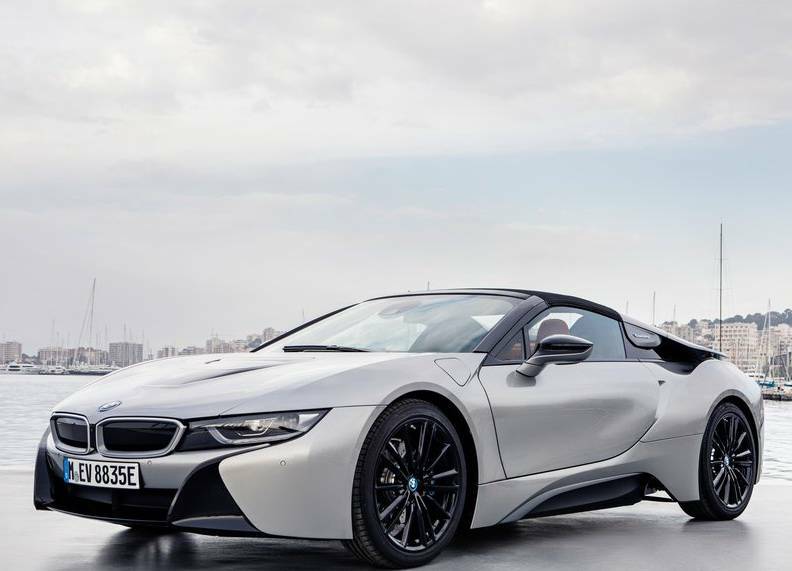 The battery’s gross energy capacity has also been enhanced to 11.6 kWh up from 7.1 kWh. The upgrades add 12 hp meaning the electric motor now produces 141 hp and 184 lb-ft of torque. 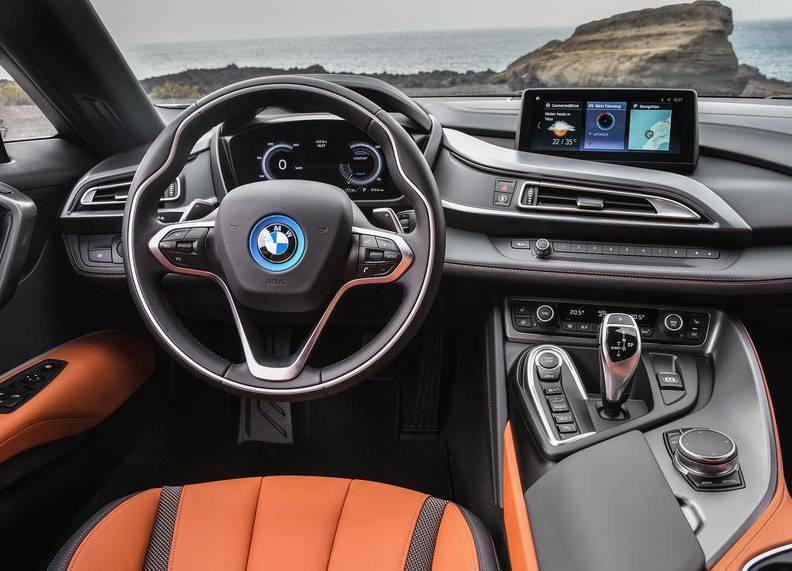 In addition, the all-electric range has increased to 18 miles which is a 30% hike compared with the current i8. 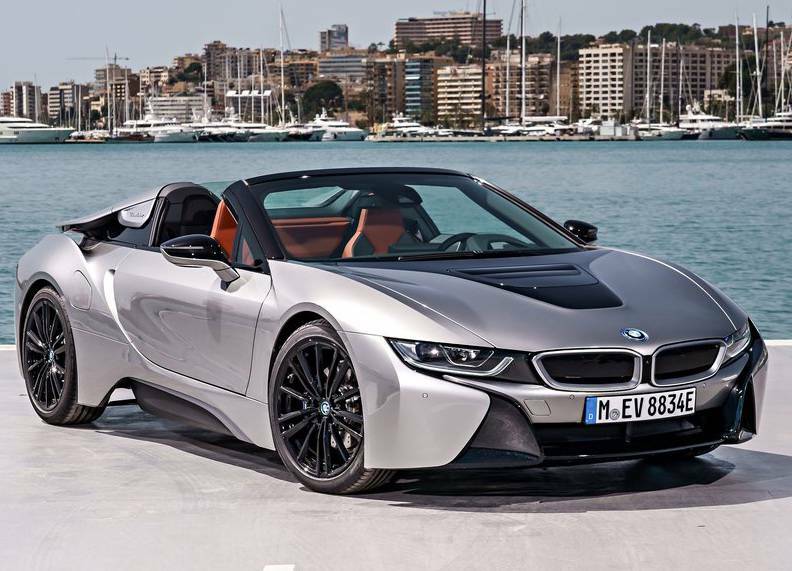 Combined, the gasoline and electric motor produce 369 hp. The setup is rated at 70MPGe. 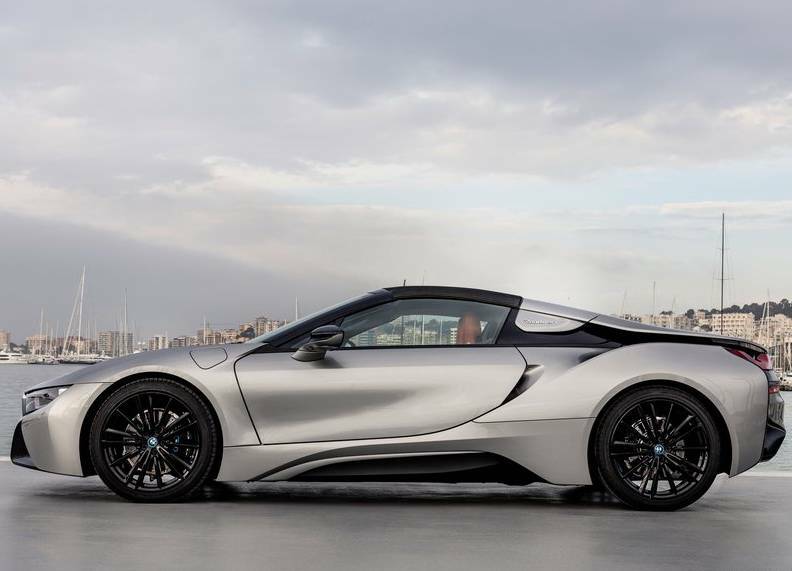 In terms of acceleration, it can complete a 0-60 mph sprint in 4.4 seconds; a couple of seconds slower than its coupe “twin sister” but its top speed matches that of the coupe at 155 mph. Using electric power alone, the model can go up to 65 mph but switching on the eDrive system pushes the all-electric top speed to 75 mph. 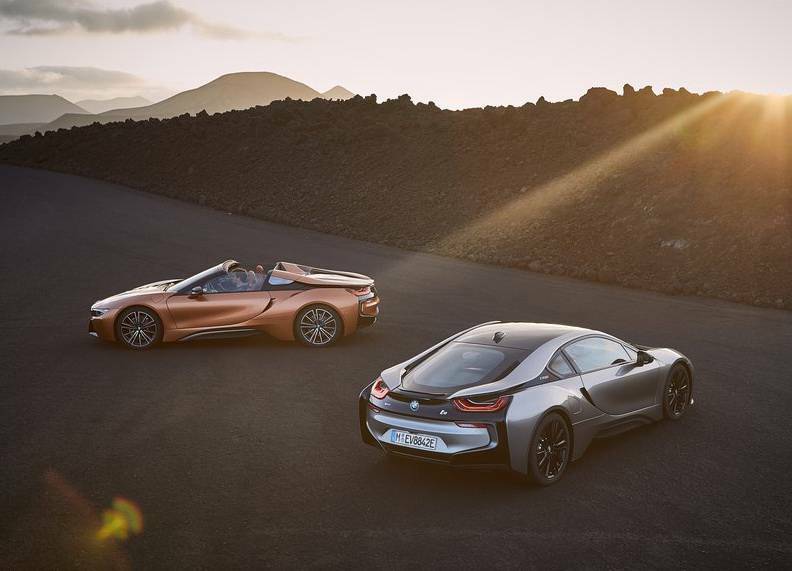 The i8 is also available in different modes to suit different occasions; they include Eco Pro, Sport, and Comfort. 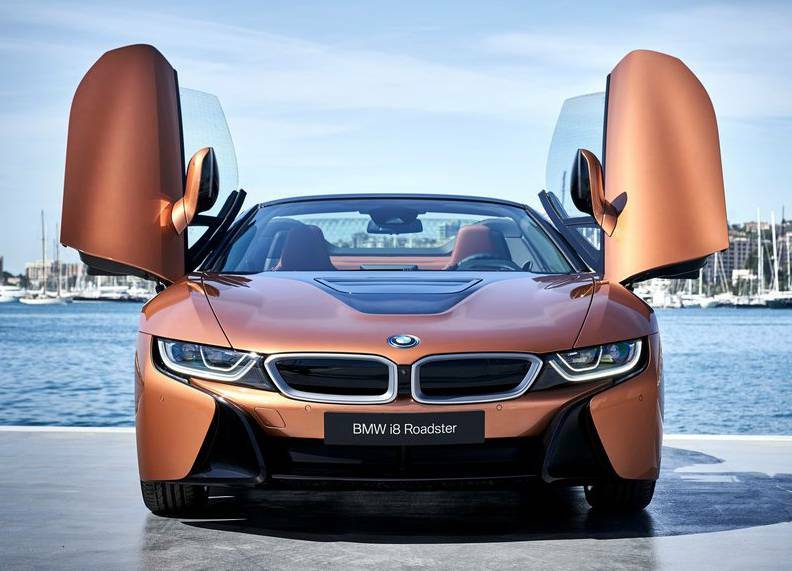 It takes 3 hours to replenish the i8’s engine using the automaker’s Charging Station with a 7.2 kW socket. 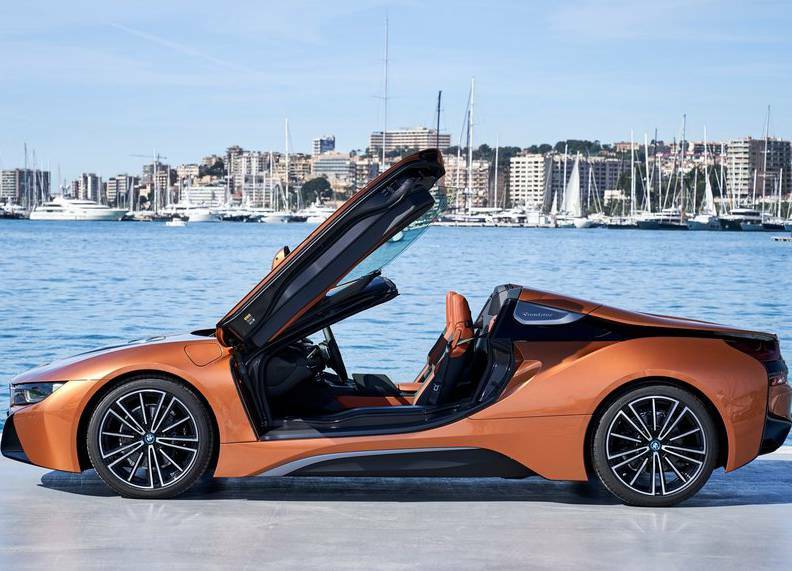 The 2019 BMW i8 Roadster will hit American dealerships later this year. As for the price, it will cost you $19,000 more than the coupe to get all the headroom in the world; it has a starting price of $163,300. Michael is a co-founder of PRDNews.com, CarSSpirit.com and NiceCarsInfo.com. He is one of the experts for technology, performance and luxury cars. He was studying in the field of software engineering, but because of his great love for cars, he changed his career and began working as a writer for the automotive industry. Because of his passion for the car, in his spare time he likes to work as a mechanic.